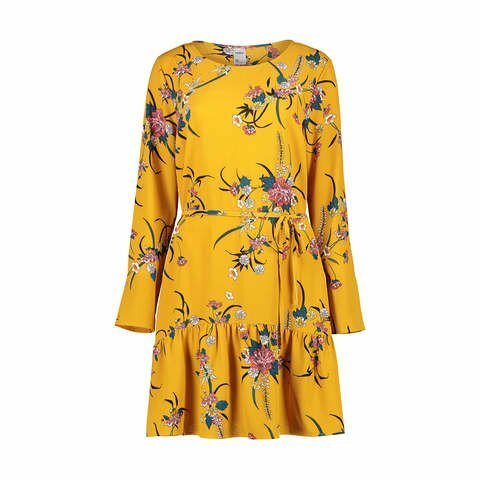 The Kmart floral dress everyone will be wearing this winter is only $20. There’s no escaping the fact now – winter is coming. But that just means we get to to shop for a whole new winter wardrobe – and we’re certainly not complaining about that. 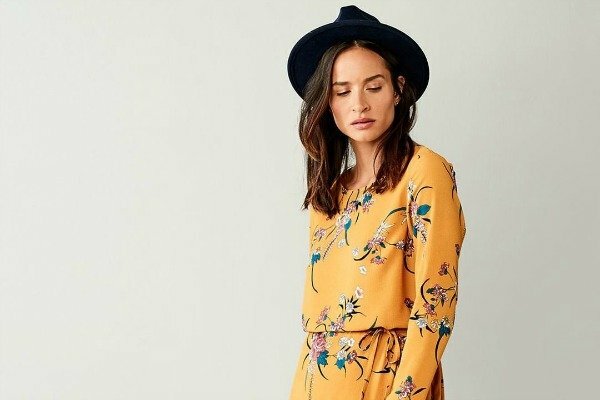 We’ve already discovered the $20 Cotton On midi dress that strikes the perfect balance of dressy and laid back, as well as the tres chic Kmart leopard print shirt that will only set you back $15, but now there’s another addition to your winter wardrobe you’ll want to add to your shopping cart ASAP. Enter the Kmart tier hem dress. 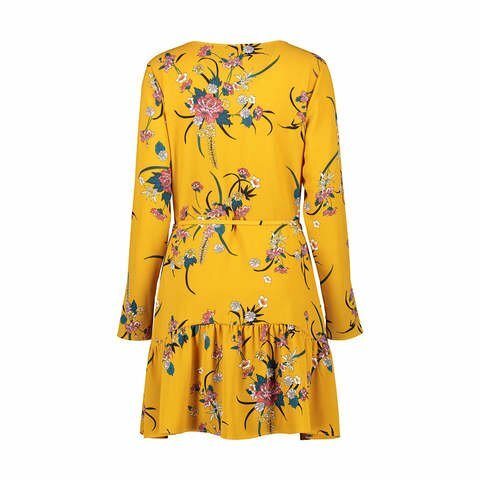 Available in sizes 6 to 20, the long-sleeved floral yellow frock is the perfect number for these cooler autumn days. Plus the mustard yellow colour will add a much needed injection of sunshine on those dreary grey mornings. Chuck it on with boots or sneakers for a casual day out or dress it up with heels and some glam accessories for a night out with the girls. And have we mentioned the best – it will only cost you $20. Yes, just $20. But you better get in quick - the word is out and most sizes have already sold out online. You better check your local Kmart store, like, right now.